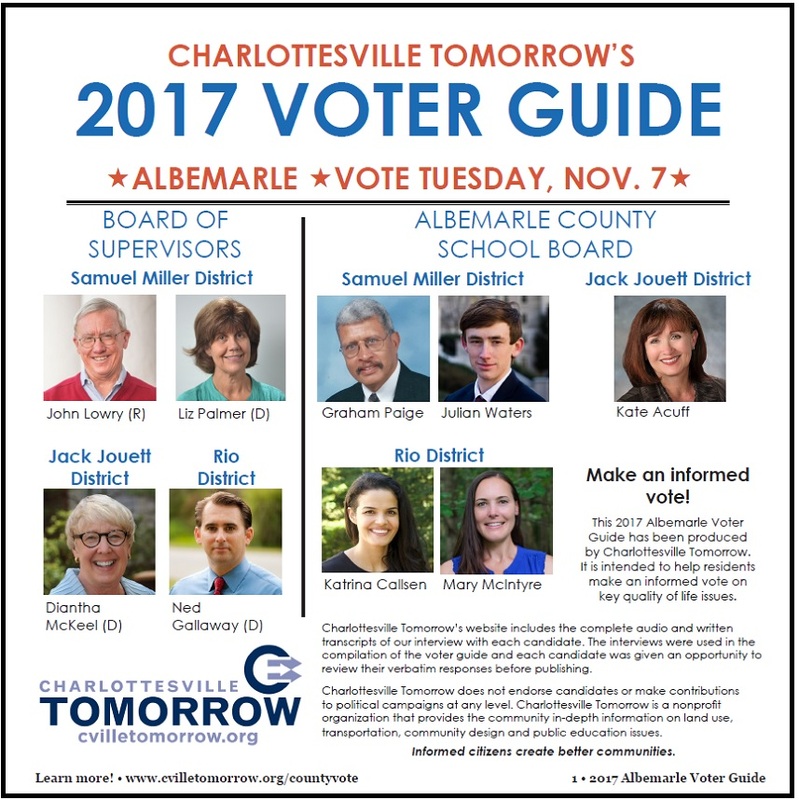 Charlottesville Tomorrow is pleased to share this in-depth voter guide for our Nov. 7 local elections for Albemarle County Board of Supervisors and the Albemarle County School Board. Since 2005, Charlottesville Tomorrow has provided non-partisan voter guides for each local election. We don’t make endorsements, we help you make an informed choice. Visit Charlottesville Tomorrow’s 2017 Election Center where you can find comprehensive news coverage of these races and listen to our candidate interviews.